The Brescia dining chair brings a modern design to your dining room with its strong sprung steel frame and upholstered in a black, cream or grey (with a white stripe) PU material. Delightful and charming, this very comfortable chair will look wonderful in a variety of settings in your dining room. 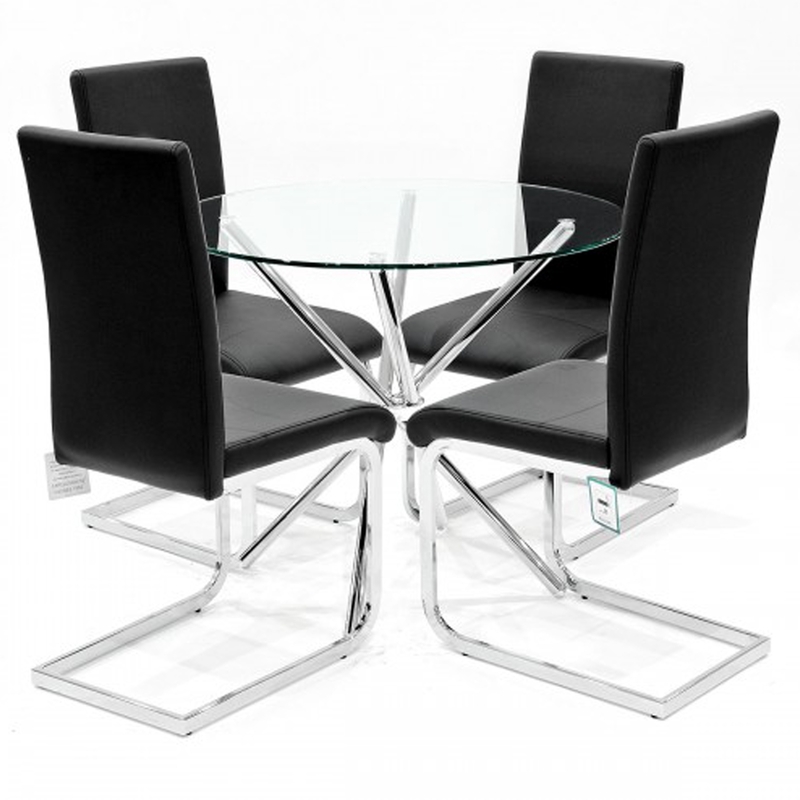 Put alongside this beautiful criss cross glass table with a round glass table top and crossed design legs, it's a perfect dining set to add to your home interior for an instant modern upgrade.